The requirement is to provide ability to search locations by counties from HR schema using af:query component. 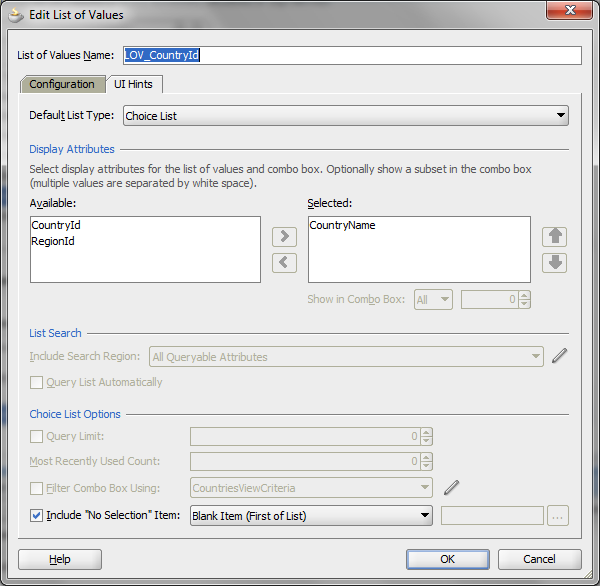 Query panel should contain list of values for countries attribute which is filtered by regions list of values field. In other words - af:query contain regions select one choice UI component which influences on countries component. 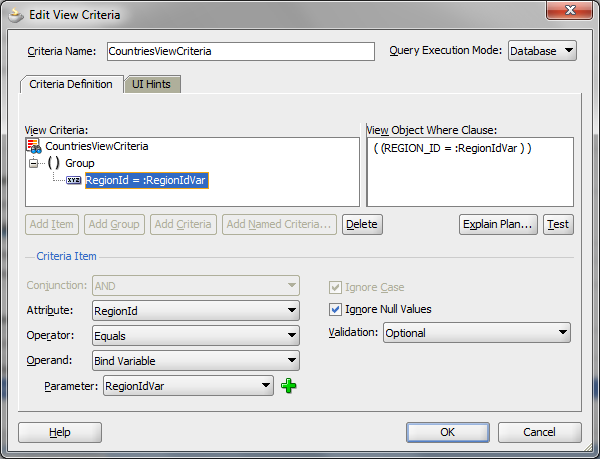 As prerequisits please create three readonly view objects based od REGIONS, COUNTRIES and LOCATIONS tables. 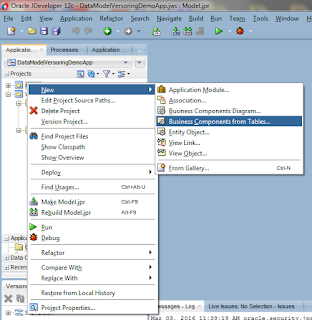 In the application module's data model put only the LocationsView. 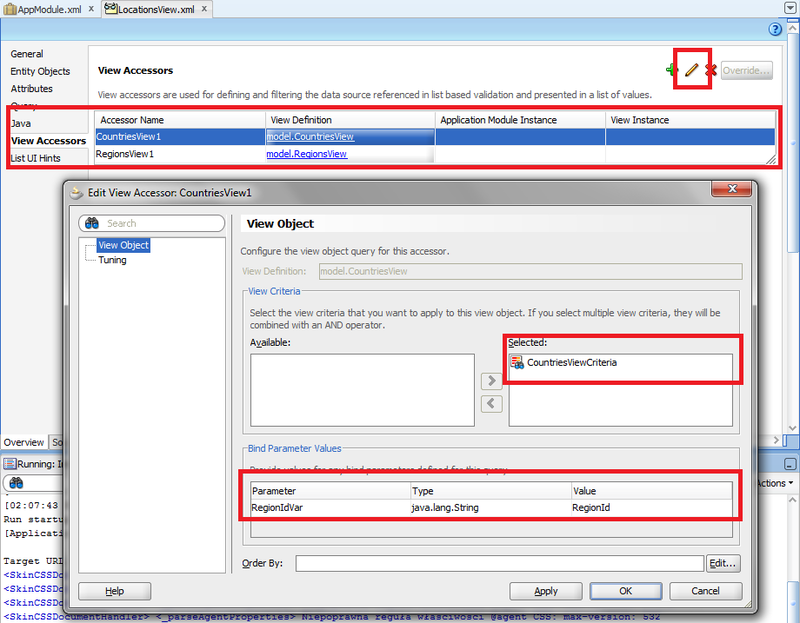 In CountriesView please create view criteria on RegionId attribute. Ignore null values not needed here. Bind variable is created using the wizard, so don't change it. 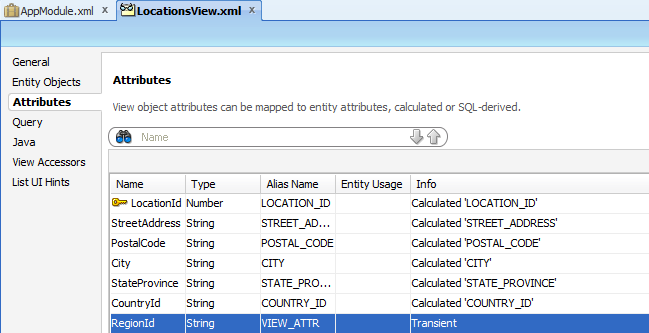 Please open LocationsView and add there new transient attribute called (in this example) RegionId. Now go to View Accessors section. Please add there CountriesView and RegionsView as accessors. Additionaly please select the CountriesView1 (default name) and click on the pencil icon. Apply view criterias there and, it is important, fulfill RegionIdVar value with RegionId. It doesn't mean it'll put it as a string but it'll evaluate Groove there - it'll get RegionId transient attribute. Do similar to RegionId attribute and then click pencil icon to edit it. 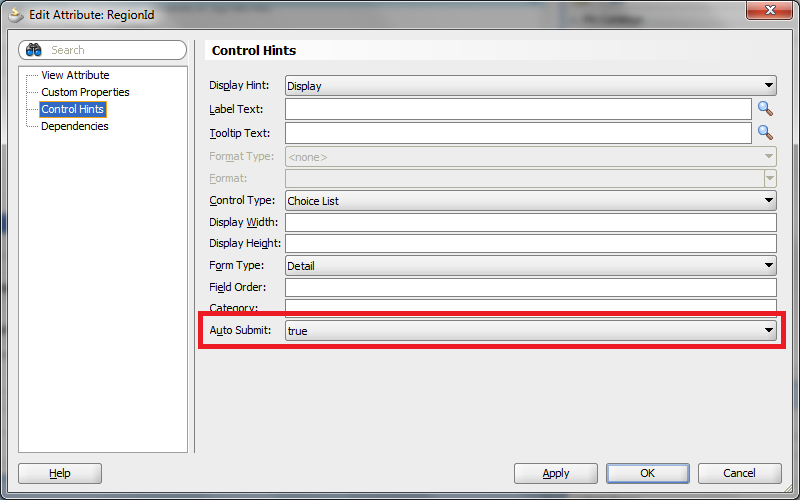 Select Control Hints from the menu and set Auto Submit to true. You can use implicit view criteria to develope proof of concept but it'll add view criterias and then drag and drop them on the page as query panel with table.